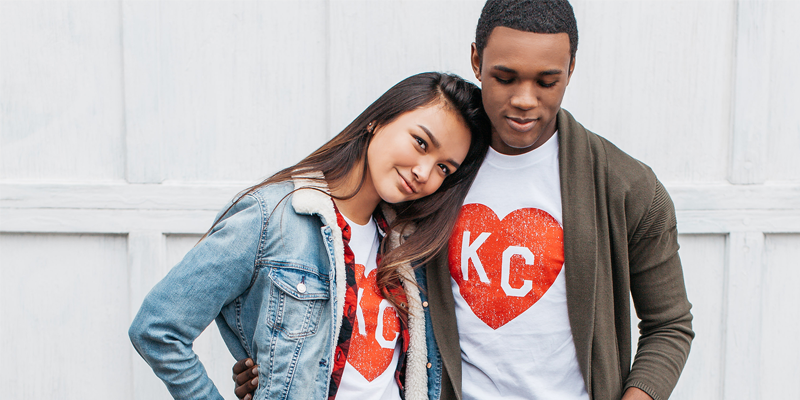 Charlie Hustle has teamed up with the American Heart Association (AHA) to design the second annual exclusive KC Heart collection to spread awareness and raise funds for heart health in Kansas City. The AHA is the nation's oldest and largest voluntary organization dedicated to fighting heart disease and stroke. A portion of proceeds raised by this collection will help fund innovative research at local institutions, fight for stronger public health policies and provide critical tools and information to save and improve lives. The AHA provides public health education in a variety of ways, including helping people understand the importance of healthy lifestyle choices, being the nation’s leader in CPR training, and providing science-based treatment guidelines to healthcare professionals. The money raised will also go towards educating lawmakers, policymakers and the general public on ways to continually protect and enhance the health of our community. The quality of research conducted in Kansas City is at such a high level that the American Heart Association is funding over $3.8 million in research at local institutions. This number continues to climb as new applicants enter the market and new opportunities arise. Charlie Hustle saw an opportunity to get involved in 2016—raising over $30,000 for the AHA—and is proud to continue to serve the Kansas City community in 2017. 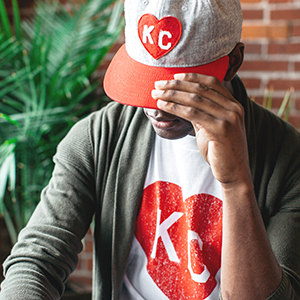 The 2017 KC Heart collection contains six garments, which include a unisex T-shirt, a women’s fit, a raglan tee, a kid’s tee, a onesie and a KC Heart hat. This limited collection will only be available during the month of February. Charlie Hustle and the AHA will be “popping up” and selling these at local businesses during February. Select styles will also be available at Charlie Hustle retailers, including Scheels in Overland Park, Made in KC (various locations), and the Bunker in Westport. These will also be stocked at the Charlie Hustle store on the Country Club Plaza (47th & Broadway) and online at charliehustleshop.com.